Born in Lennep, Prussia (now Remscheid, Germany) Röntgen (alternatively spelt Roentgen), a professor at the University of Würzburg, was awarded the first Nobel Prize for Physics in 1901 for his discovery of X-rays on 8 November 1895. His discovery of electromagnetic rays of a short wavelength produced when cathode rays impinge on matter was one of the key events in modern physics and had a profound effect on medicine, but it also proved of immense interest to the showmen who were starting exhibit motion pictures. 'Röntgen rays' became a common feature alongside magic lantern shows and film screenings from such exhibitors world wide as Mark Blow in Australia, Yokota Einosuke in Japan, William Paley (who suffered from the after effects of radiation) in the United States, and Jasper Redfern (who was eventually to die of radiation-induced cancer) in Britain. James Williamson used Röntgen rays as part of his pharmceutical business, Dr John Macintyre demonstrated X-ray cinematography for scientific purposes as early as 1897, and a number of comic films employed the theme, for instance G.A. Smith's X-Rays (also called The X-Ray Fiend, 1897) ('the Professor turns his apparatus upon the lovers and makes a startling revelation'). Both Thomas Edison and Auguste Lumière, in their very different ways, experimented with the uses of the X-ray. In a way not dissimilar to Muybridge's analyses of motion, Röntgen's X-rays caused a revolution in human perception, anatomising life on the screen in a way profoundly analogous with the cinema. 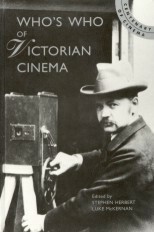 Richard Crangle, 'Saturday Night at the X-rays: The Moving Picture and the New Photography in Britain, 1896', paper given at Bradford Celebrating 1895 conference, 1995.